So you have decided to coach little league baseball. Let me tell you, it is a fun and rewarding experience. I’m sure you have heard all the horror stories about demanding parents, and yes, most of them are true. 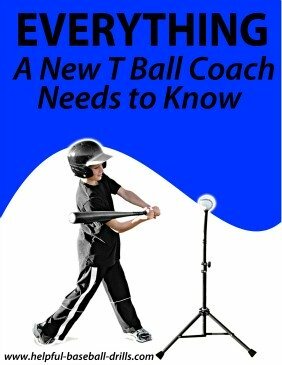 But the bad experiences I had with a few parents did not come close to out weighing the enjoyment of teaching quality baseball instruction to boys and seeing those lessons turn into positive results. There is just a great feeling about helping boys and young men develop as baseball players and human beings. 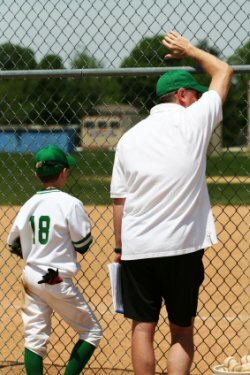 You might think you are only coaching baseball, but you are also a role model for your players. How you react to bad calls from umpires and bad behavior of some parents goes a long way in forming the attitudes of your team players. Keep a positive attitude at all times with your team, your parents, umpires and the opposing team. I know every coach starts out with those intents, but at some point they lose it. Don’t let yourself get caught up in the moment and say or do something you will regret later. And trust me there will be those moments. Before I get off my soap box about coaching baseball, there are two important things I want to point out. First, communicate with your parents as much as possible. This will head off many potential problems. A great idea is to have a parents meeting before your first practice if possible, but certainly before the first game. Be very open about what you expect from the parents. They should have their kids on time for practice and games. They should let you know when their child will miss a practice or game. And they should keep a positive attitude with their child. And let the parents know what they can expect from you, such as how playing time and positions for players will be handled, and so on. Just an overall statement about how you plan to coach and do baseball instruction will go a long ways in establishing an open relationship. In the good old days I used to pass out my baseball instruction outline for the next practice. Now it is even easier with email. The parents that worked with their sons at home loved that. If fielding was a main part of the next practice, then they worked on fielding at home. But don’t let me mislead you, not all parents work with their kids at home. Sad but true. 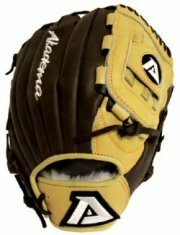 My last comment about parents is try to involve as many parents as possible in the baseball instruction. Just like the kids, the parents are more likely to stay positive if they are involved. Especially try and pick the parents that don’t seem as anxious to help. These are the ones that are harder to win over, and their involvement will help bridge the gap. The second important point about baseball instruction I want to discuss is coaching your own son. Since coaching baseball is a big commitment of your time, I’m assuming your son is playing. The hardest thing you may find in coaching baseball is treating your son as just one of the players. It is very hard to separate the dad emotions from coaching your son. Most parents have high expectations for their children, and this often clouds the interaction of parent and child. It is easier to be realistic about the ability of Johnny down the street than it is with your own son. Not handling this carefully can do major damage to your relationship with your son. You can ask your spouse to keep an eye on the situation, but sometimes this leads to trouble with them. The best solution I came up with was asking another parent, one that I felt would be open and honest, to keep an eye on me. I wanted to get feed back from them on how I was handling my son. This approach worked to perfection. Luckily I picked some good parents who kept me in line and I avoided any big confrontations with my boys. Be sure to give this topic plenty of thought. All of your hard work could go up in smoke if you handle your son improperly. Finally, it is time to talk about baseball instruction. If taught correctly, youth baseball drills should be fun, learning experiences. Here is the approach that should be followed. First you need to show the players how to do the drill. Show them in both slow and full speed mode. Next have them walk thru in slow motion and then in full speed. Finally, go live with drills using runners and calling plays safe or out. Let’s use the baseball practice drills of a pitcher covering first base as an example. 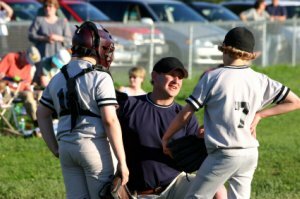 You, or another coach or parent, will show the boys the steps that a pitcher takes to cover first base. Also, again a coach or parent will show the boys how a first baseman should underhand the toss to the pitcher. Do it at first in walking mode, then again in fast mode with the first baseman leading the pitcher with the toss. Next, you need to walk the pitchers and the first basemen thru the drill. Before going full speed, each player probably needs at least three or four attempts. And those that are having some trouble with the drill will need more attempts. After walking thru the drill several times, now do the drill at full speed. Hit a ground ball to the first baseman and have the pitchers cover. Stay with this step until the players seems comfortable doing the drill. Finally, during this baseball instruction go to game like action. Stand at home plate, add a runner into the mix, and hit ground balls to the first basemen. Here is one of the greatest baseball tips: Players love competitive drills. Even go so far as to call runners safe and out. You will keep their attention a lot longer doing drills in game like mode. One of my favorite baseball quotes is from Willie Stargell. He said, When they start the game they don’t yell “Work Ball”, they say “Play Ball”. The same advice should go to practices. Go out of your way to make sure your baseball drills are fun. Yes, there has to be some mundane work involved, but once the kids learn that live action starts after they work thru the beginning steps, their learning curve will go up big time. 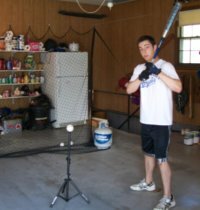 Teach with fun baseball drills. It will help make your season more enjoyable. When I find something good, I like to pass it along. The website listed below is an outstanding source for personal development for men. I highly recommend you take a moment and check it out. Is your life a rewarding journey filled with satisfaction and fulfillment or is it a miserable existence filled with disappointments, failures and frustration. Choose Personal Development. This site specializes in all issues that make for a good life for men.